In early 1918 there was an acute shortage of food. Rationing was extended and queuing became a way of life. Two meatless days a week were to be observed. Accordingly there was a big rise in the demand for allotments where people could produce some of their own food. Preston was an early leader in this scheme, providing 700 plots from parks and public land. New inventions in the kitchen included powdered soup, fish sausages, vegetable pie and stewed nettles! 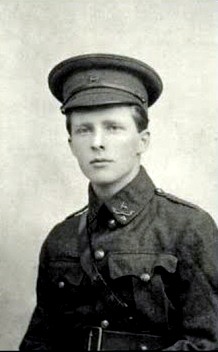 On 1st April 1918, the Royal Naval Air Service and the Royal Flying Corps merged to become the Royal Air Force. During the weekend of 19 - 20 May 2018, 10.00am - 4.00pm, the National Trust invites people to ‘Songs on the Summits’ of Brandreth, Great Gable and Grey Knotts in the Lake District. This is a commemoration and celebration of the twelve fells gifted to the NT as a First World War memorial by the Fell & Rock Climbing Club. The NT also intends lighting a beacon on the top of Scafell Pike on Armistice Day, Sunday 11th November. The Spanish’’Flu pandemic, the worst ever recorded, killed somewhere between 25 and 100 million people worldwide. The port of Glasgow was the first place in Britain to record the’’flu in May 1918. It swept across the country in three waves and this first one was comparatively mild. A much more devastating wave was to follow in the autumn of that year and a moderate one in early 1919. One hundred years ago in February 1918, Lady Northcliffe, wife of the newspaper baron, appealed to the women of Britain and the Empire to donate a pearl to the British Red Cross in memory of a life lost or changed forever by the war. The appeal gained extraordinary momentum and nearly 4,000 pearls flooded in from across the world. The pearls were made into 30 necklaces, which were auctioned at Christie’s - the appeal raised nearly £100,000. 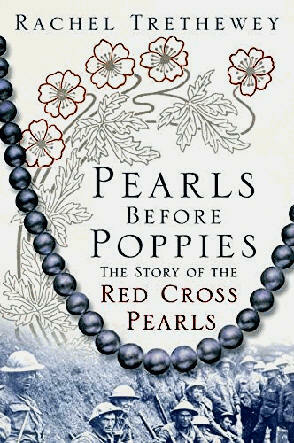 The story of the Red Cross Pearls has been told in a new book by Rachel Trethewey, ‘Pearls before Poppies’. The British Red Cross saw one of the largest humanitarian responses in its history last year and this year is reviving its Pearls For Life Appeal to help support people in crisis throughout the world, and to mark 100 years since the original campaign changed lives in the wake of World War I. There is an interesting article in a recent Daily Mail that gives a long history of the original appeal available here.